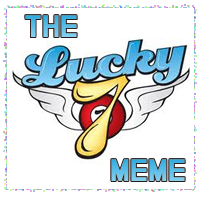 The wonderful Kate Warren tagged me in the 7 Writer Challenge (when I've done this before, it was called the Lucky 7 Meme). According to the rules I must go to either page 7 or page 77 of one of my works, and starting on line 7, post the next 7 lines. After that I must challenge 7 other writers to do the same. "Stonemount is different from your home." "I know that much," Mattie said. "No, you do not." Alex squeezed her had. "Here, come with me." Really looking forward to reading this book. Thanks for including me.